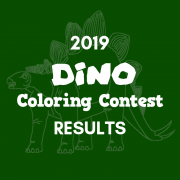 Another year, another successful Dino Coloring Contest! We struggle with choosing just one winner every year. When we look through the entries and see the time and care that went into creating them, we wish we could name everyone the winner! That said, a huge thank you to all who entered our contest! We truly enjoy each and every one of them, and without so many to choose from, this contest would be a lot less fun! To keep this contest as fair as possible, we have a staff selection committee. The committee members review ALL of the entries, and choose ten of their favorites. The entry that receives the most votes, wins (this is also how we choose the entries for honorable mention). Okay. Now, on to the results . . .
Great job, guys and gals! 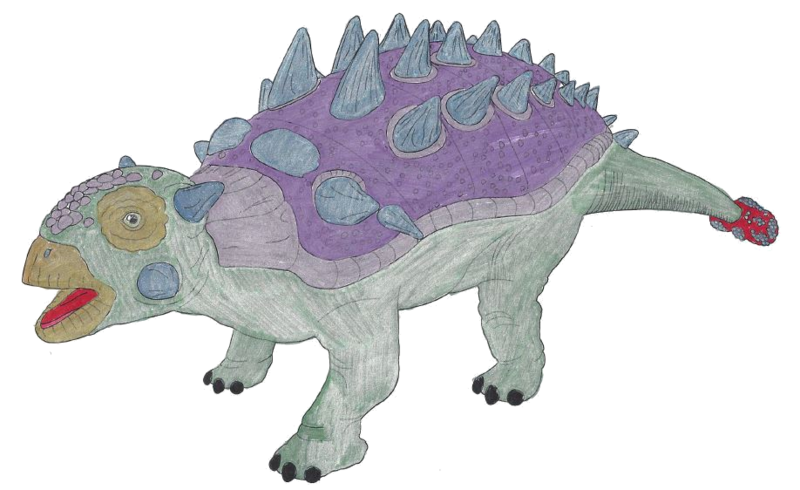 We love the colors, shading, and attention to detail in this design. Congratulations, Ian! It’s clear you have a great artistic gift. We look forward to seeing more of your dino-mite artwork in the future! Another big thank you to everyone who participated in this year’s contest. We could not be more pleased with the turnout, and we hope you all enter again next year! Happy International Turtle & Tortoise Week! In honor of International Turtle and Tortoise Week, we wanted to show off all the wonderful species of turtles and tortoises we have here at the zoo. What’s the difference between the two? 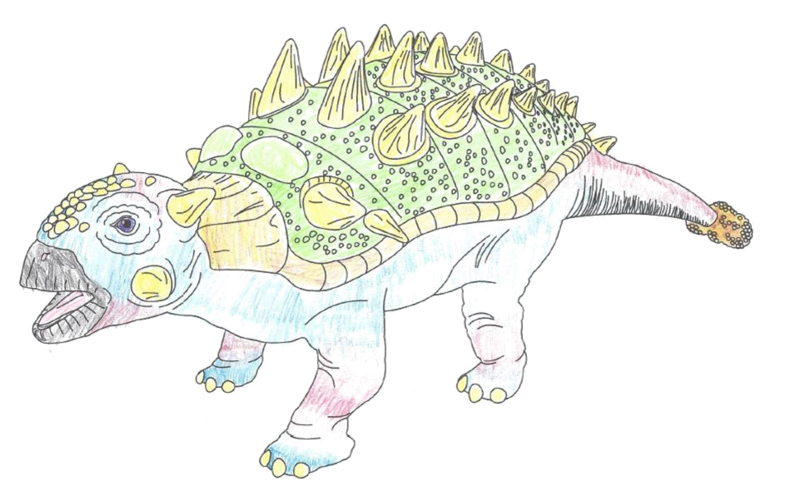 The main thing that distinguishes a turtle from a tortoise is that turtles live in water at least some of the time while tortoises live on land. Read on to learn more about the species we have here! 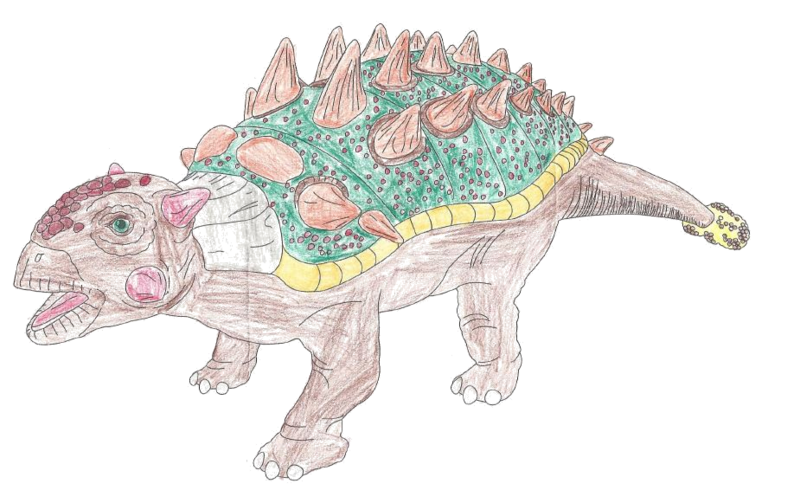 Alligator snappers are among the heaviest freshwater turtles in the world, weighing an average of 45 lbs. These powerful animals can bite through the handle of a broom! You can find ours in the exhibit gallery. 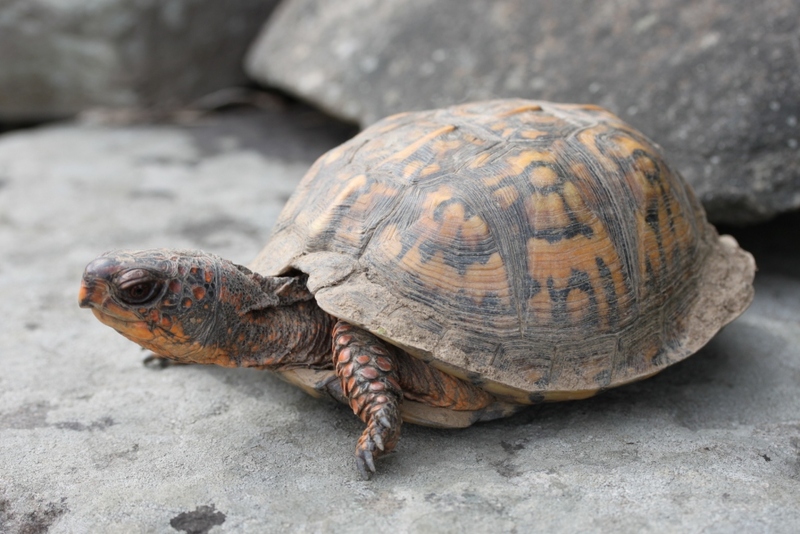 Even though Eastern box turtles are turtles, they spend most of their lives on land. This turtle has a very high human-induced mortality rate, so it is actually illegal to catch them from the wild and keep them as pets. 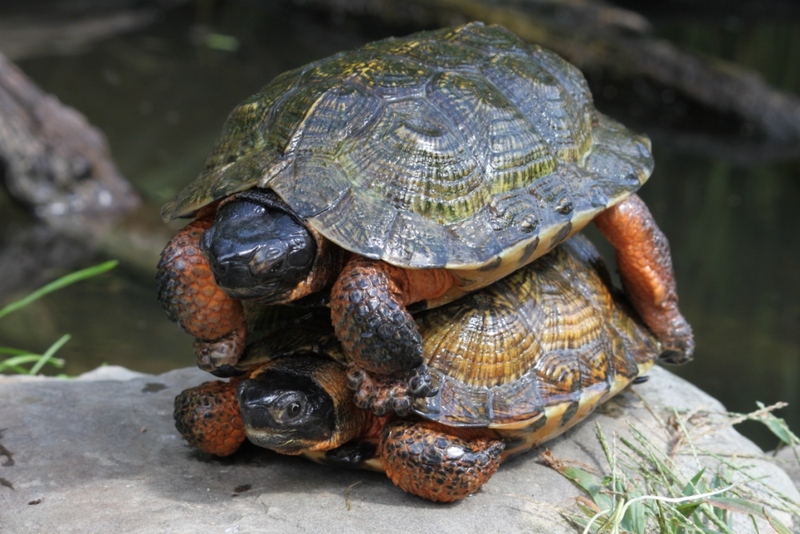 See our box turtles in the outdoor pond exhibit! The Florida softshell turtle is a freshwater turtle with a long neck and a snorkel-like nose. The females get considerably larger than the males—females weigh an average of 15 lbs, while males only average about 6 lbs. 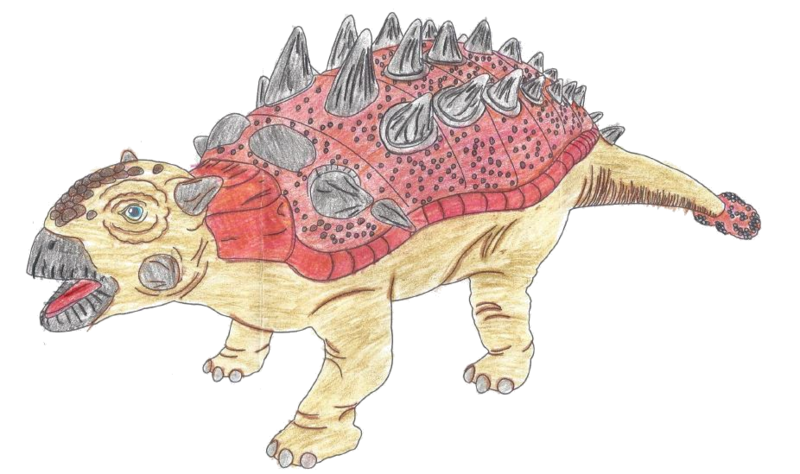 You can find ours in the exhibit gallery, but you may need to look closely—sometimes they burrow under the pebbles! 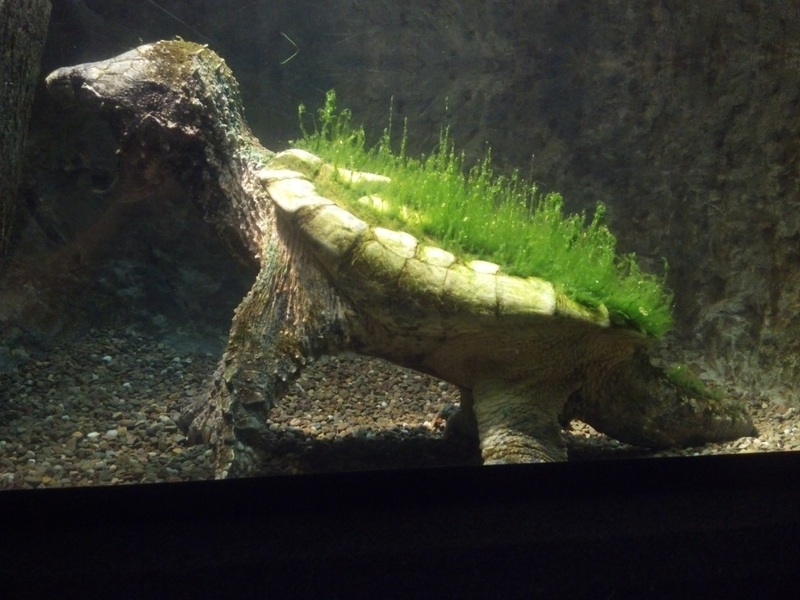 The mata mata turtle is an aquatic turtle that prefers shallow, stagnant or slow-moving bodies of water. Mata mata turtles cannot chew due to the structure of their mouths, so they suction feed. You can find ours in the exhibit gallery! Painted turtles are a freshwater turtle native to the United States. 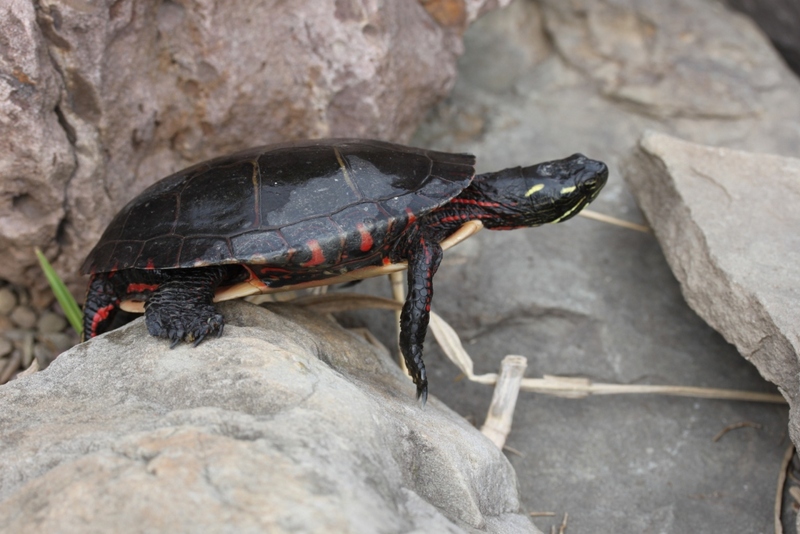 Four U.S. states have actually named the painted turtle their state reptile! 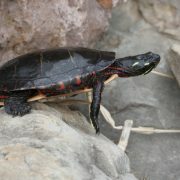 Find our painted turtles basking in the sun in the outdoor pond exhibit on warm days. 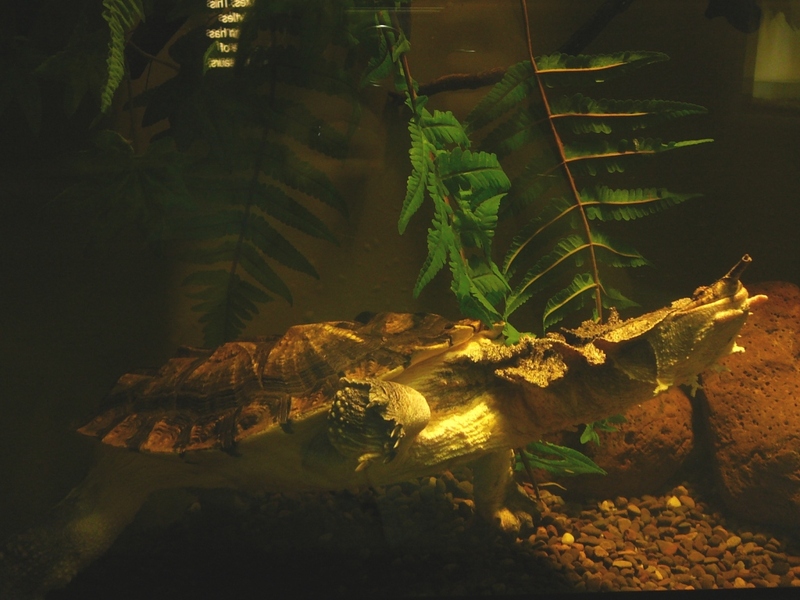 The pond slider turtle is a common semi-aquatic turtle with a few different subspecies. These turtles are extremely popular in the pet trade, but conservationists warn against pet owners releasing them into the wild since they are an invasive species. 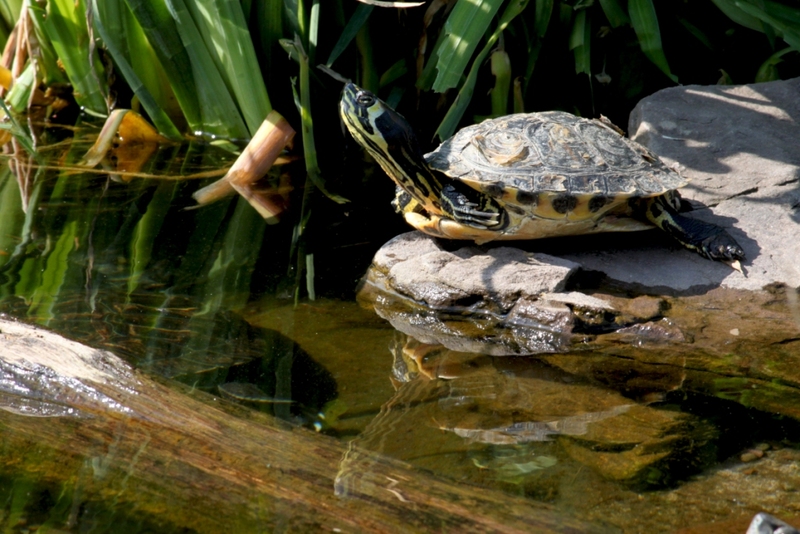 Find our many rescued pond slider turtles in the outdoor pond exhibit! 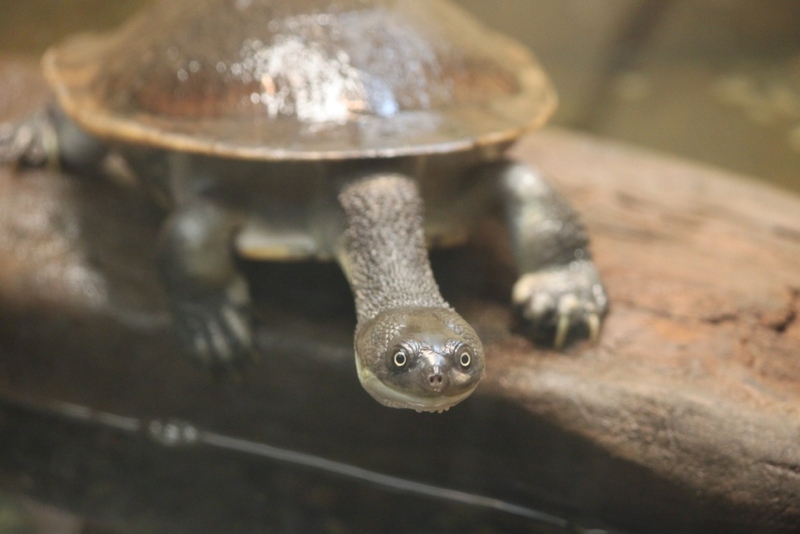 The snake-necked turtle is named for its long, flexible neck. 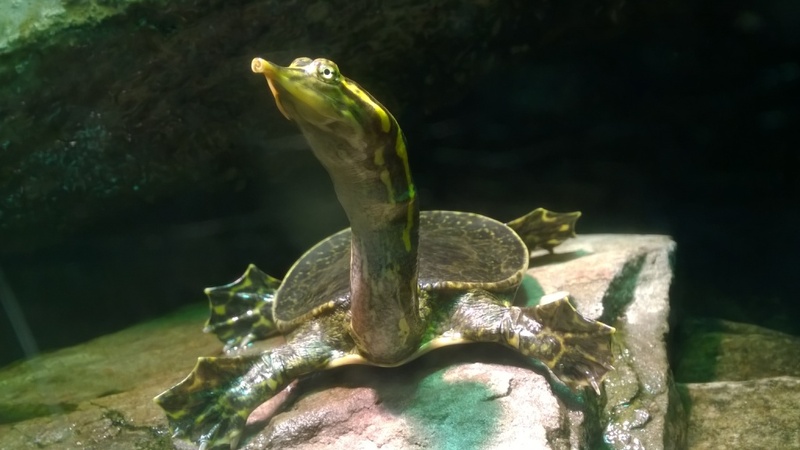 Our particular species of snake-necked turtle, chelodina mccordi, is one of the most sought-after turtles in the exotic pet trade. Because of this, they are critically endangered. Ours are swimming in the exhibit gallery! Wood turtles are a North American species of turtle that can be found near shallow, clear streams of water. Humans and other animals pose a significant threat to the wood turtle at all stages of its life. If unharmed, these turtles can live for 40 years in the wild and up to 58 in captivity. You can see ours in the outdoor pond exhibit! Aldabra tortoises are one of the largest species of tortoise in the world, similar in size to the Galapagos tortoise! You can find our fully grown Aldabra tortoises, Al and Henry, in the Island Giants building. 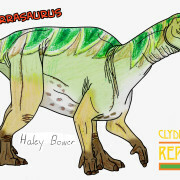 We even have a few young Aldabras who have not reached their full size yet in our exhibit gallery! 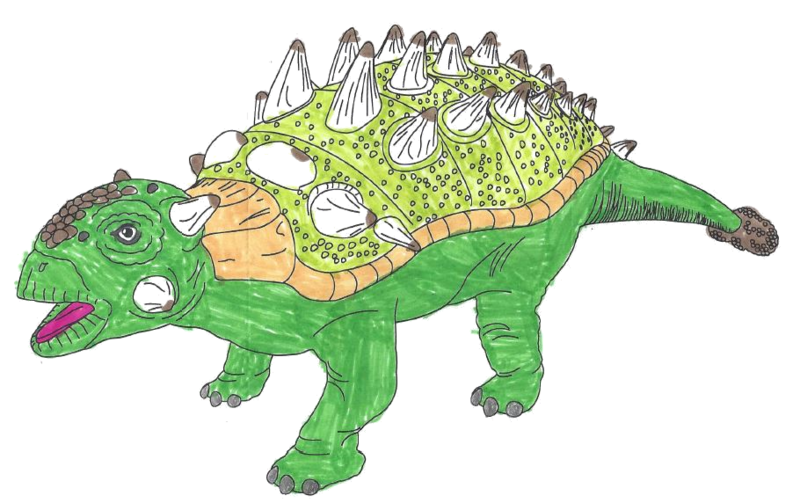 The forest tortoise is the sixth-largest species of tortoise on earth. These tortoises have a unique sound—they can make a noise that sounds like a baby cooing with a raspy voice. You can find ours hanging out with the iguanas in the exhibit gallery! 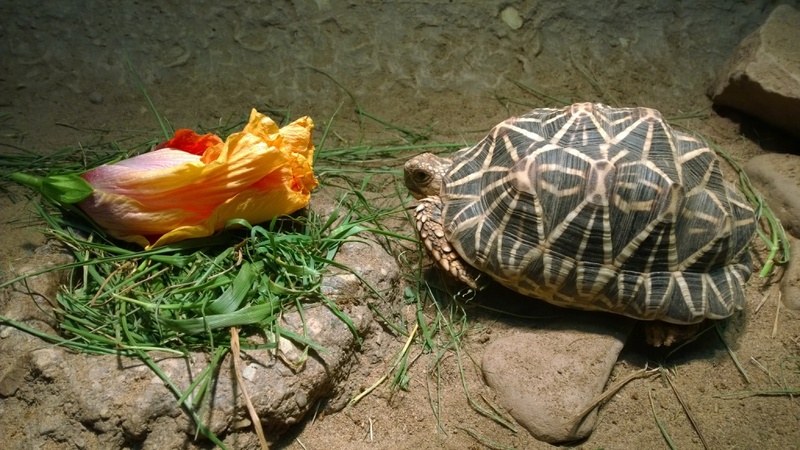 The Indian star tortoise is an endangered species of tortoise due to its popularity in the exotic pet trade. The unique shape of their shell assists them in righting themselves when they get turned over. You can find ours in the exhibit gallery! 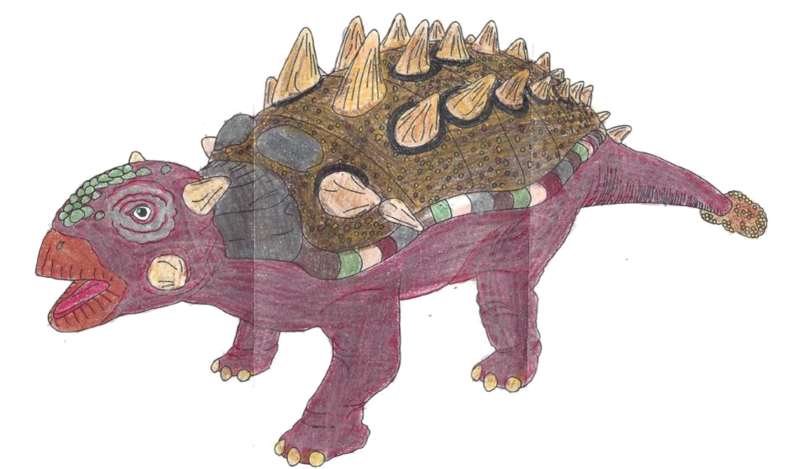 We hope you enjoyed learning more about our turtles and tortoises. 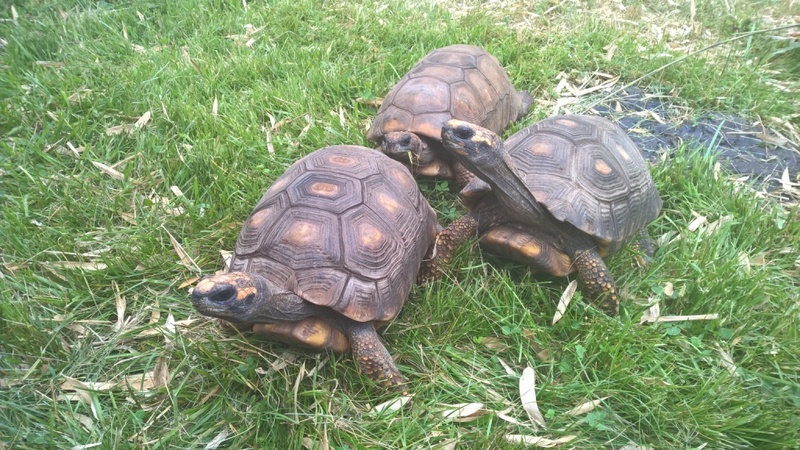 Help us celebrate International Turtle and Tortoise Week by visiting them here at the zoo! 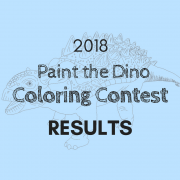 After receiving a record-breaking 453 entries, we are excited to announce the 2018 coloring contest results! Selecting a winner is tough when there are so many great entries to choose from, and this year was no exception. It also gets more difficult as we try to select original designs different from years past. 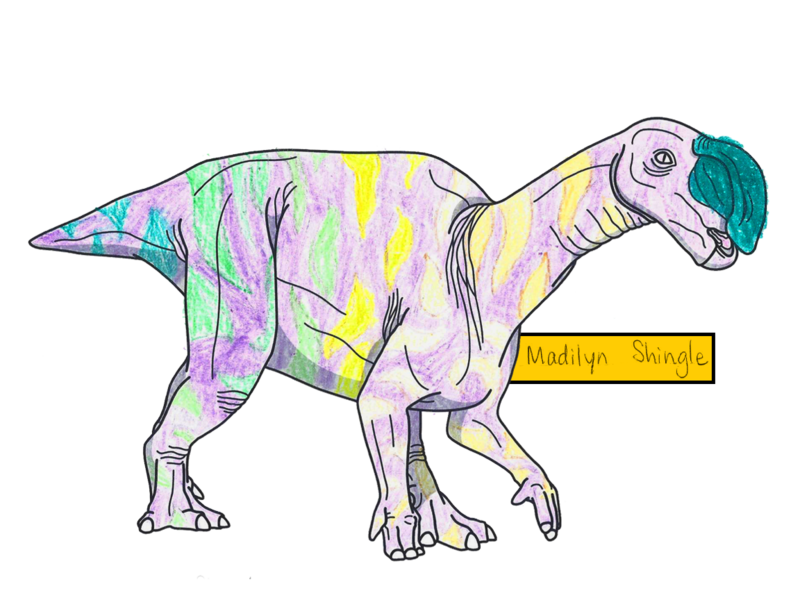 That said, we want to thank everyone who submitted an entry! We appreciate having so many options to choose from, and we know how much time and effort goes into completing them. 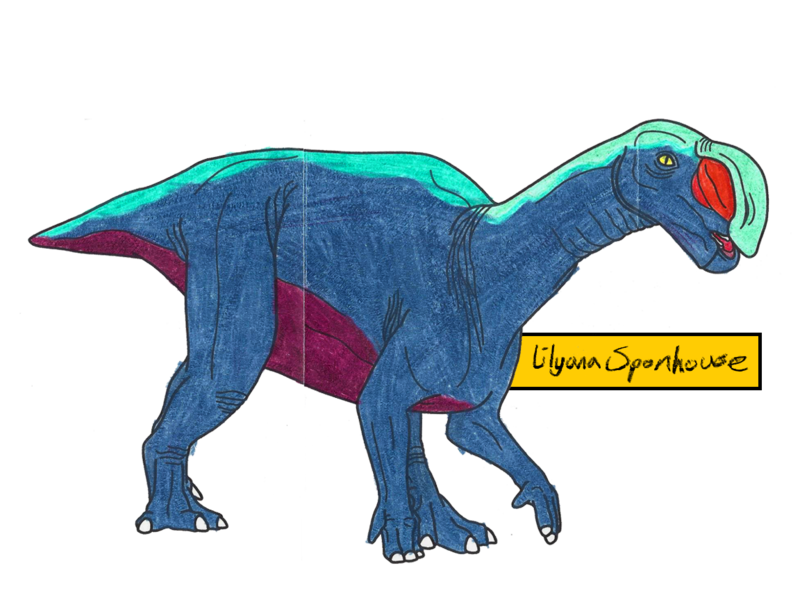 We love the colors Anthony used in his design, and we think it will look fantastic painted on Euoplocephalus when Dinosaurs Come to Life returns on April 21, 2018! Congratulations, Anthony! Another HUGE thank you to everyone who participated in this year’s contest. This year we collected the most entries we’ve ever received—for the second year in a row! We could not be more pleased with the turnout. We hope you all enter again next year! 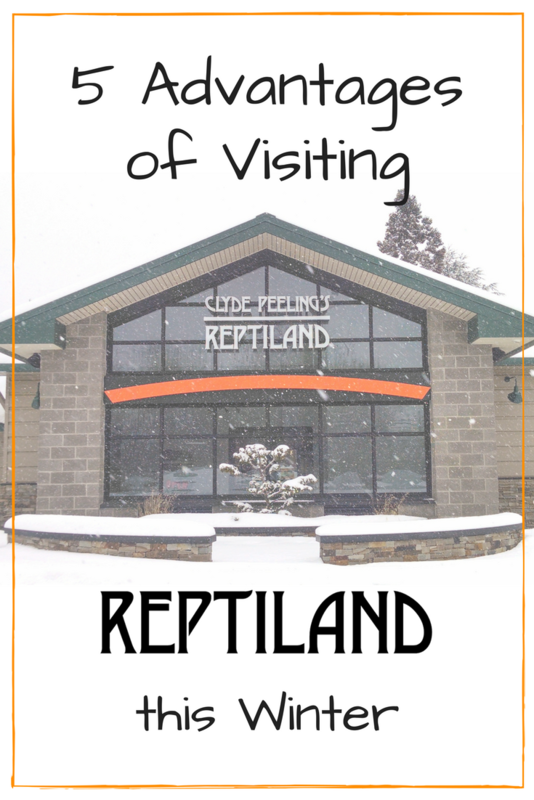 Think Reptiland is only a warm-weather destination? Think again! 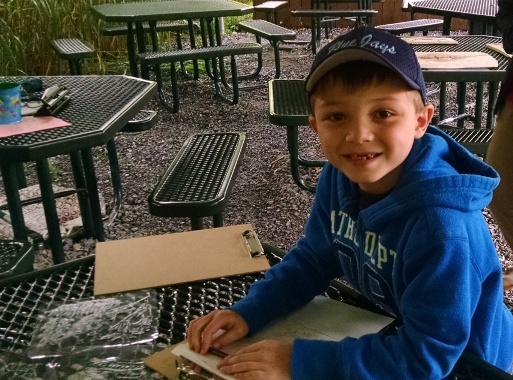 The Jones family recently stopped by the zoo and captured some of their visit on video! We love to see zoo experiences through the eyes of our guests, and if you’re wondering what it’s like to visit the zoo during our “off-season,” just watch the video! We hope this glimpse into the Jones’ visit shows you the many perks of visiting during the off-season . 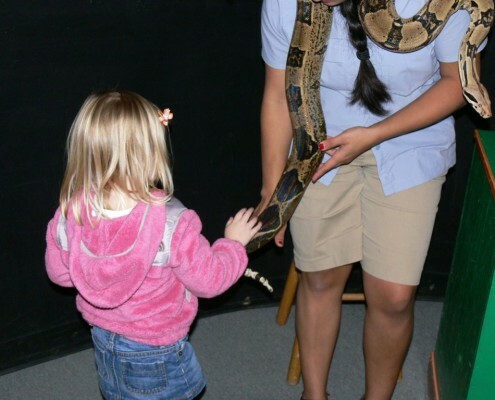 . . and inspires you to come to Reptiland the next time you’ve got a few hours to spare! 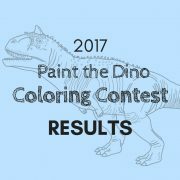 After receiving a record-setting 384 entries, we are excited to announce the 2017 coloring contest results! 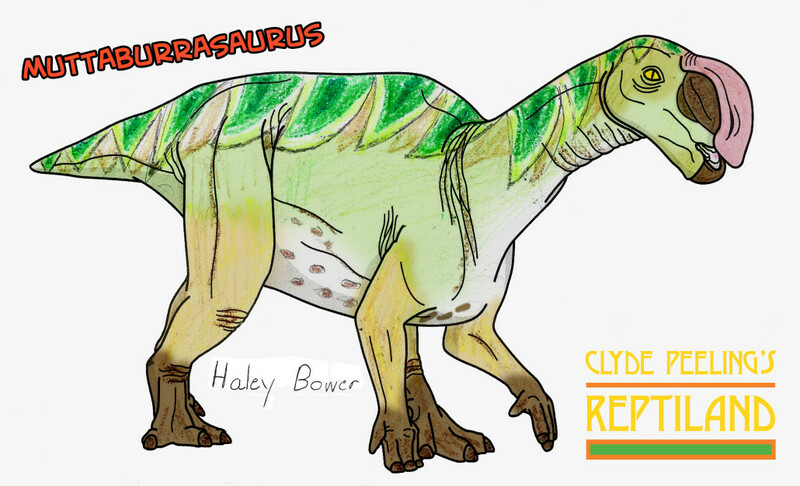 We love the color palette and shading in Brooke’s design, and we think it will look fantastic painted on Carnotaurus when Dinosaurs Come to Life returns on April 22, 2017! Congratulations, Brooke! Another HUGE thank you to everyone who participated in this year’s contest. With the most entries—and most creative entries—we’ve ever received, we could not be more pleased with the turnout. We hope you all enter again next year! This post was updated on 11-20-18. Don’t let winter put a damper on your family fun . 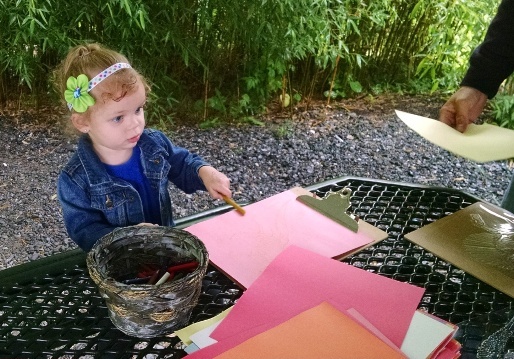 . . get out of the house and head to the zoo! 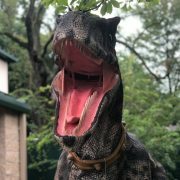 We may not come to mind when thinking of cold weather activities, but after you check out the 5 advantages of visiting Reptiland this winter, we hope that’ll change! Come on in, it’s always warm here! 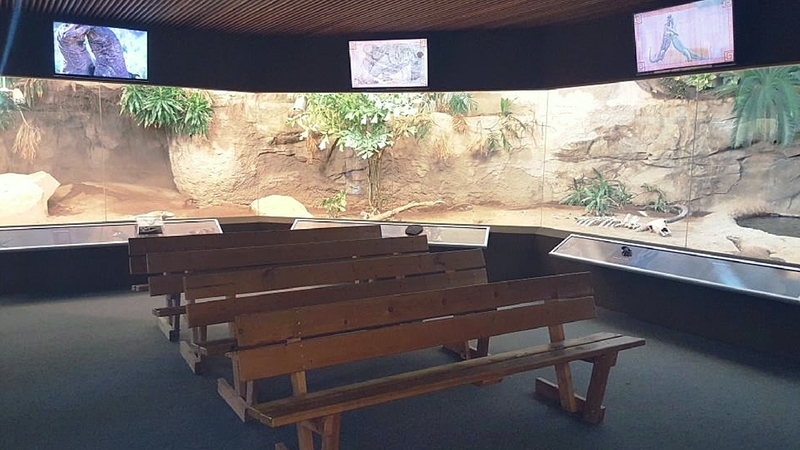 Escape the cold in our indoor Exhibit Gallery, where you can see nearly 40 species of reptiles and amphibians under one roof! You might feel like you’re in the great outdoors with our naturalistic habitats, but you’ll be enjoying them all at room temperature. 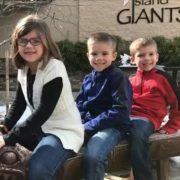 If you do feel a chill walking from building to building, just head to Island Giants; you’ll warm up as soon as you get inside. Komodo dragons require extreme heat—like 90+ degrees—so the entire building is incredibly warm. You can also catch a live show here that will feel like a casual conversation with one of our zoo keepers (and the tropical temps will keep your tootsies toasty)! Things tend to slow down around here during winter, but that just means we’re able to spend more time with you and your family one-on-one! Because there is a little less to see November-April, we take $2 off our regular admission rates. With the lowered rates and more personal attention, you’re actually getting more of an experience for less money! If you’ve ever visited on a weekend in July, you know that it can get pretty crazy around here . . . 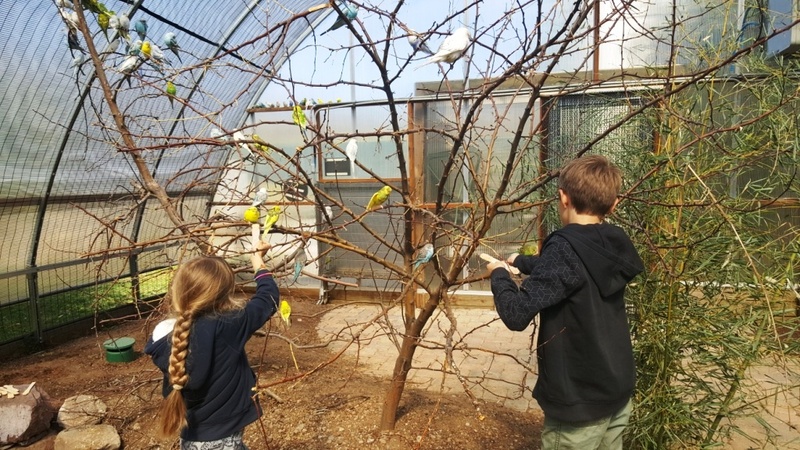 While we are always happy to have a “full house,” we know that it can be frustrating for our guests, especially in smaller, more crowded areas of the zoo. The good news? In the winter, it’s much quieter and more peaceful! There’s no need to hurry so the people behind you can see; there’s no line formed by the restrooms; no hold-ups at the admissions desk; and most importantly, no waiting to see your favorite animal in the gallery! 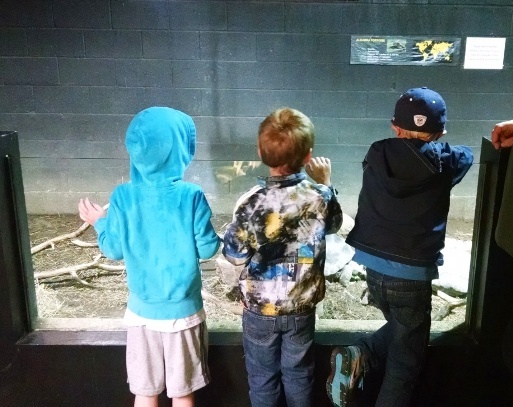 You’re able to take your time enjoying each and every part of the zoo . . . and we hope that you do! As a small business, we appreciate having guests any time of year, but we encourage you to take advantage of the off-season experience by visiting this winter. We hope to see you soon, but in the mean time, stay warm! *Please be advised: Parakeet Landing is open daily at select times, however the exhibit’s availability is still dependent on weather. If you are counting on seeing this exhibit, please call us at 570-538-1869 on the day you plan to visit to confirm that it is open. 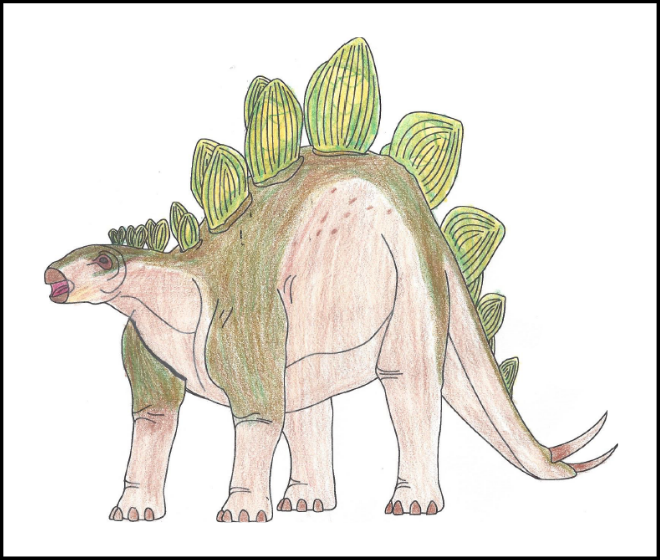 A similar post first appeared on our blog on November 16, 2015. This post reflects the new offerings and schedule for off-season visits. Haley Bower, 10, of Wellsboro! 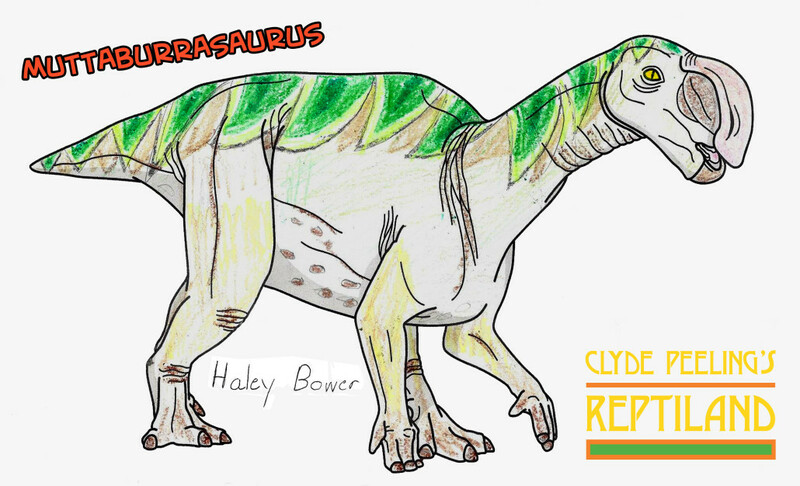 We chose Haley’s design because of its creative details and originality, and we think it will look GREAT painted on Muttaburrasaurus! Congratulations, Haley! 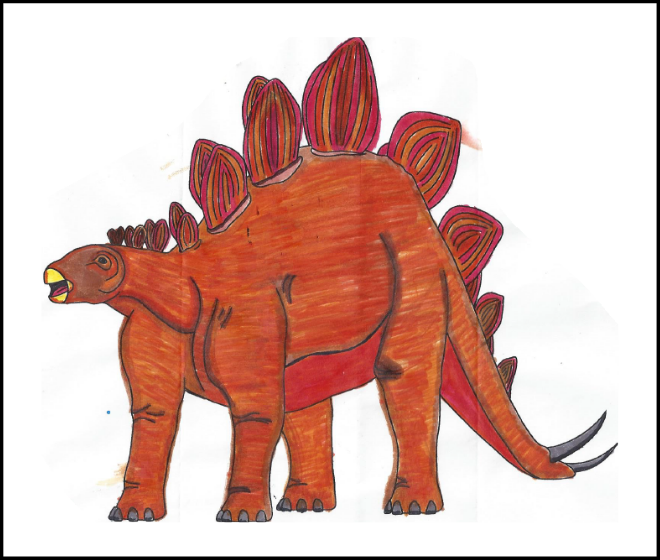 We can’t wait to for everyone to see your design brought to life when Dinosaurs Come to Life opens on April 23, 2016! 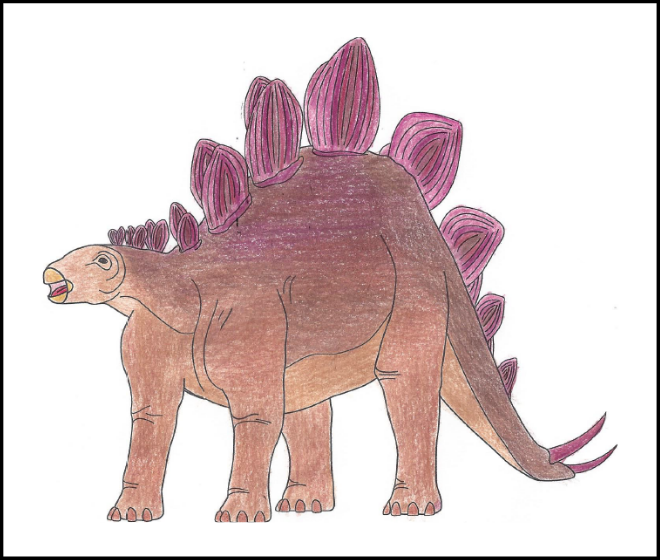 With over 320 fantastic entries, it was nearly impossible to choose one winner. 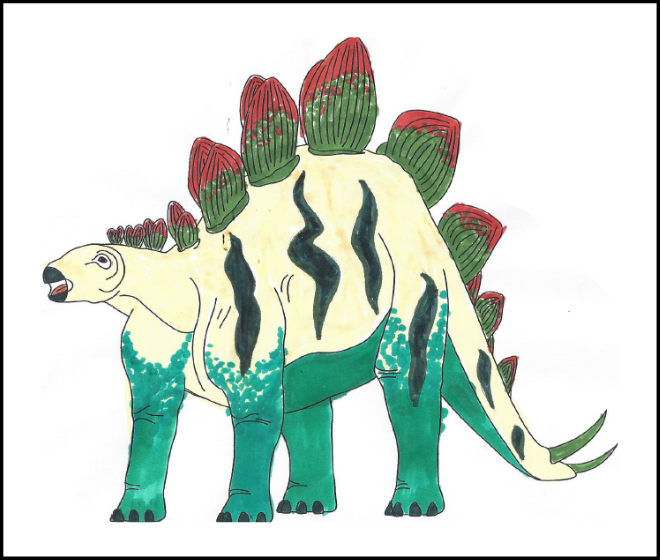 That said, we want to showcase five other entries that deserve recognition! 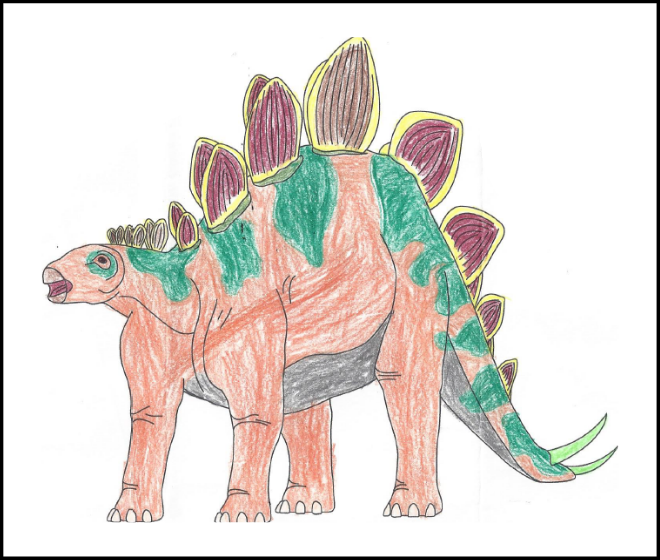 Another successful coloring contest in the books. To all the kids that entered: THANK YOU…and keep an eye out for something special from Clyde Peeling! It’s the last weekend in October, and we’re going out with a bang. Join us! 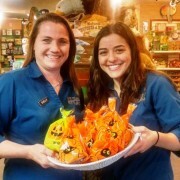 Celebrate Halloween here at the zoo for a spooktacular weekend. 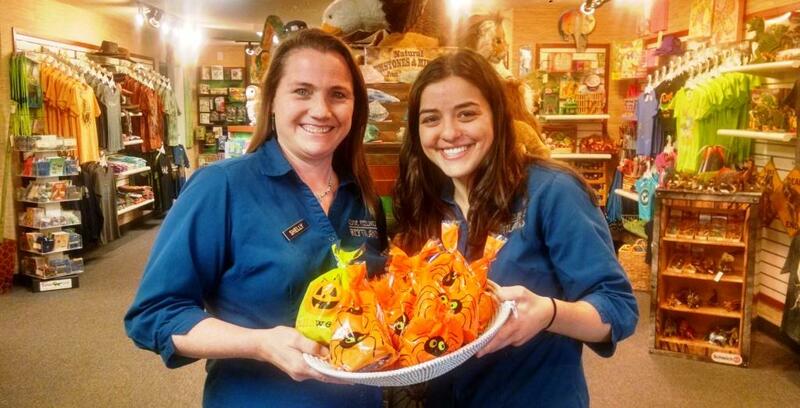 Nothing says Halloween like free candy. Visit now through November 1st and get a FREE treat bag! There are fun surprises hidden inside each one, so come claim yours today. Besides, plain old trick-or-treating has nothing on us–we’ve got awesome animals, prehistoric creatures, AND yummy chocolate! Treat bags available while supplies last. Take advantage of these exhibits before they close for the season. Sure, they’ll be returning next spring, but who wants to wait that long? 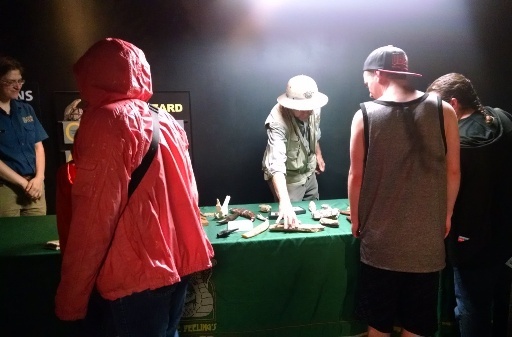 Travel back in time with this prehistoric outdoor adventure! 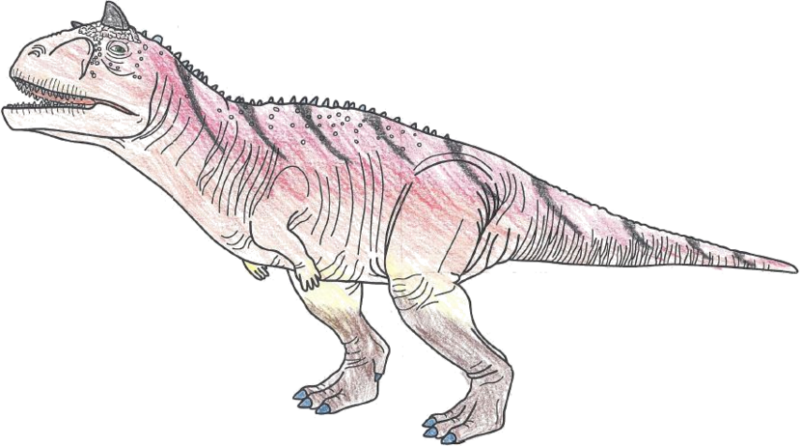 Bigger and better than ever, this year’s exhibit boasts 7 animatronic dinos–the most we’ve ever had! Experience hundreds of butterflies in flight! Did you know butterflies are found everywhere but Antarctica and they taste with their feet? Learn all this and more with a stroll through our butterfly greenhouse. 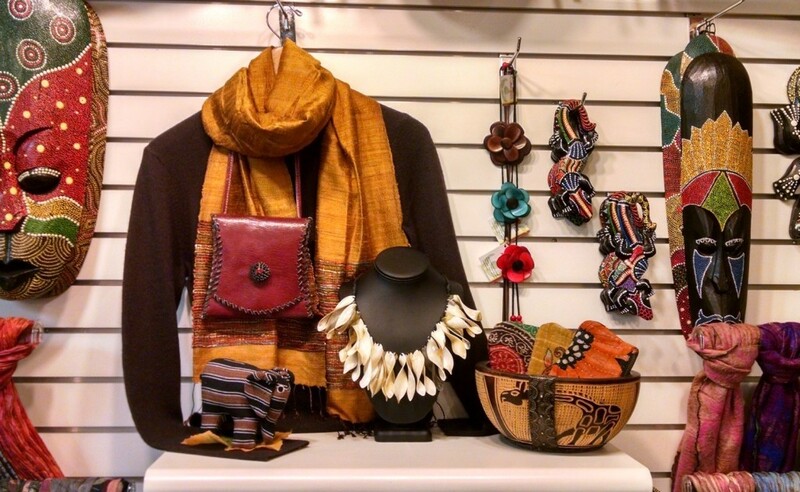 Our gift shop is full of fair trade treasures, and while we hate to use the “C word” this soon (it rhymes with isthmus), it’s never too early to start your holiday shopping! 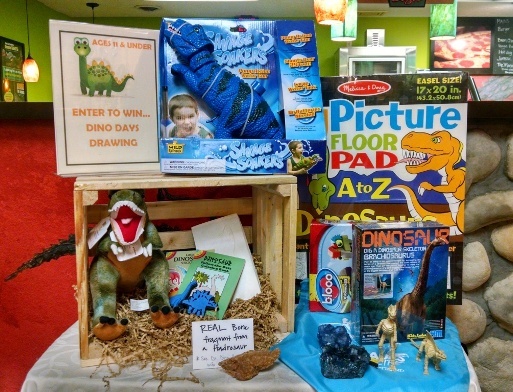 So visit this weekend for a win-win-win situation: FREE treat bags for the kiddos (adults, too! ), zoo fun for all, and fabulous fair trade gifts that support artisans all over the globe. We can’t think of a better way to spend your Halloween. Click here for our hours, rates, and show times. 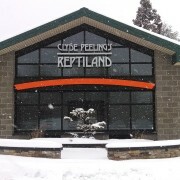 https://reptiland.com/wp-content/uploads/IMG_20151029_120012530_HDR.jpg 522 1024 Clyde Peeling's Reptiland http://reptiland.com/wp-content/uploads/reptilandlogo.png Clyde Peeling's Reptiland2015-10-29 12:21:452015-12-23 17:02:32Celebrate Halloween with us! 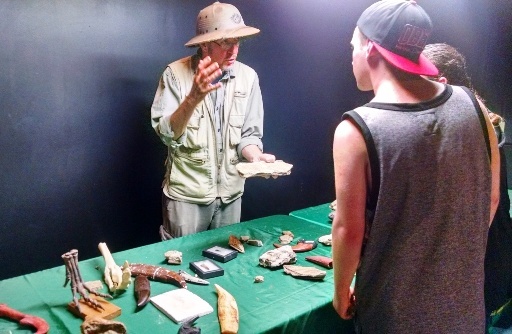 Last weekend we hosted Dino Days, an event dedicated to all things prehistoric. It turned out to be a fantastic weekend, despite the uncooperative weather. 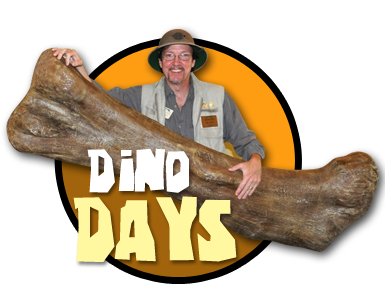 Our special guest for this 2-day event was Chris DeLorey, also known as Dr. Dino, Director of Education at the Brevard Zoo. As a paleontologist and dinosaur expert, he’s gone on many digs and has traveled all over the world. 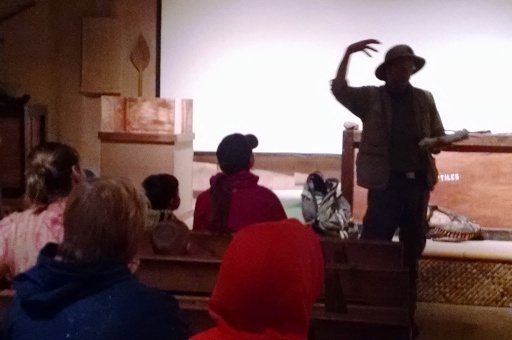 He brought fossils and artifacts from his personal collection to share with guests, gave special presentations in our Program Center, and answered all kinds of dino-related questions! 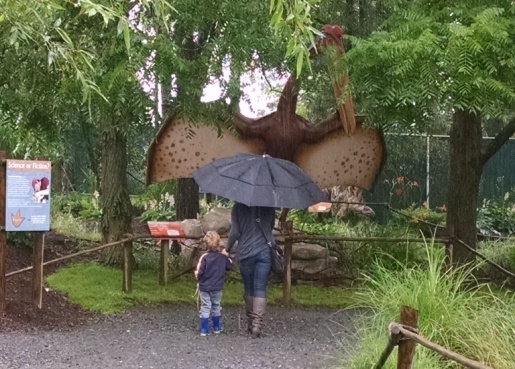 We didn’t let rain put a “damp”er on the weekend–but umbrellas were a must! …and so did his little sister! Kids could create their very own fossil rubbing book, and enter to win our Prehistoric Prize Package filled with dino-themed goodies! 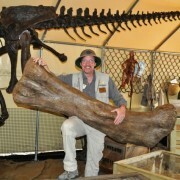 They also got to take home real dinosaur bone fragments courtesy of Dr. Dino. 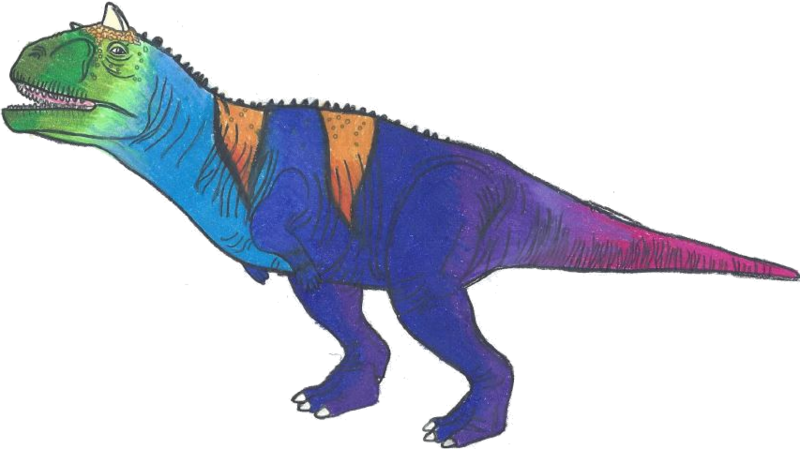 It was a fun, educational weekend, and based on all the positive feedback we received, we’re anxious to outdo ourselves next year with another DINO-mite event!